← What is Competitive Intelligence in B2B firms? 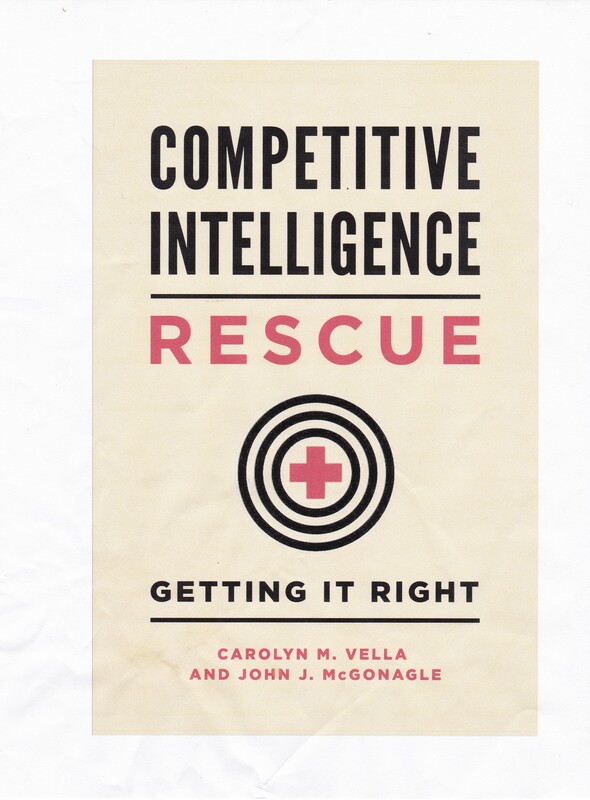 Who is really doing competitive intelligence? I recently ran a training session on competitive intelligence for non-competitive intelligence professionals, that is, people primarily involved in marketing, product development and the like. Of interest was the fact that one of the attendees commented that at an earlier meeting, he was told that most business-to-business (B2B) firms didn’t engage in competitive intelligence. After discussing it with my partner, Carolyn Vella, I think I can understand what I think is a clear misconception. The vast majority of large business to consumer (B2C) firms, our major retailers or consumer-products companies, conduct competitive intelligence through freestanding teams, internal competitive intelligence units. In the B2B world, many of the firms are not large, so immediately, we have to question parallels with the B2C firms. In fact, I would be willing to guess (not bet, as I do not bet) that there is a higher percentage of nonpublic and family-owned firms in the B2B market space than in the B2C market space. That is a significant issue with respect to CI. In fact, I think that internal CI teams are more common with B2C firms than with B2B firms. That is not the same as saying that B2B firms do less CI. Why? Smaller, particularly privately held, firms do not have the internal and external “churn” of employees, and even executives, that is common in the large B2C for market space. That “churn” carries with it the infiltration of new ideas and techniques. Thus, we can logically expect that the B2B market space may be less likely to be far along in developing internal competitive intelligence capabilities, than are firms in the B2B space. There is another factor, one dealing not with existence, but with visibility. By this I mean that it is easy to identify a consumer goods firm with competitive intelligence when there someone in the firm carries the title “competitive intelligence manager”. However, in smaller B2B firms, and family-owned firms, the individuals doing CI do not carry such titles. They do CI as a part of everything else that they do, whether it is product development, marketing, research and development, or whatever. Thus, they are truly the locus of the do-it-yourself CI revolution, which I think is spreading throughout the business community. While B2B firms may not be advanced in terms of creating freestanding units, they do conduct CI and I believe it will be more deeply embedded, simply because CI will become one of the necessary tools that every manager, in almost every department, will have to have and master. In the long run, I think this bodes particularly well for the B2B sector, and for CI. Interesting post John. As I get around and talk intelligence or do training with clients, I sense the critical metric of who has organized intel to be more about size than focus. I’ve seen many great CI efforts underway in the B2B space … telecom, aerospace, basic materials, chemicals, etc. I’ve also been struck by the lack of CI in some surprising B2C areas, notably chain restaurants and some large retail. But what I find most often is the small and growing, as well as mid-sized firms, in both B2C and B2B that don’t conduct formal intel (…even though, as you note, many are doing the job via the backdoor). I think this may be the real sweet spot for intel if and when folks don’t “insist” on having all the trappings of big company intel.